[Sudama: So we should take the Deity prasadam and our prasadam and go to all the houses? Prabhupada: No no. You invite them, that “Anyone, you are welcome. Take prasadam.” We can announce. Then you can judge how many people are coming daily. You should announce that “Anyone can come and take prasadam at noon.” It is the duty of a grhastha to loudly cry, “If anyone is hungry, please come. We have got still food.” That is the duty of a grhastha. If one does not come, then the chief of the house, he takes prasada. If somebody says, “I am hungry,” so he should offer his own food. “You eat.” This is duty of grhastha. Bhunjate te tv agham papa ye pacanti. Those who are cooking for themselves, they are simply eating sinful things. That’s all. Bhunjate te tv agham papa ye pacanty atma-karanat [Bg. 3.13]. So hospitality is one of the duties of the householder. Atithi. Atithi means guest without any information. That is called atithi. Tithi means date. So if I go to your house, I inform you that “Such and such date I am coming there.” But atithi, he does not inform you, all of a sudden comes. So you should have to receive him. That is called atithi. Pantha. People are moving… Formerly, if some of the walkers in the street, suppose he has become hungry, so he enters anyone’s house. So “I am hungry sir. Give me something to eat.” He’ll immediately, “Take.” Pantha-bhaga. There is a stock of foodstuff which is called pantha-bhaga. If somebody comes all of a sudden, he should take. 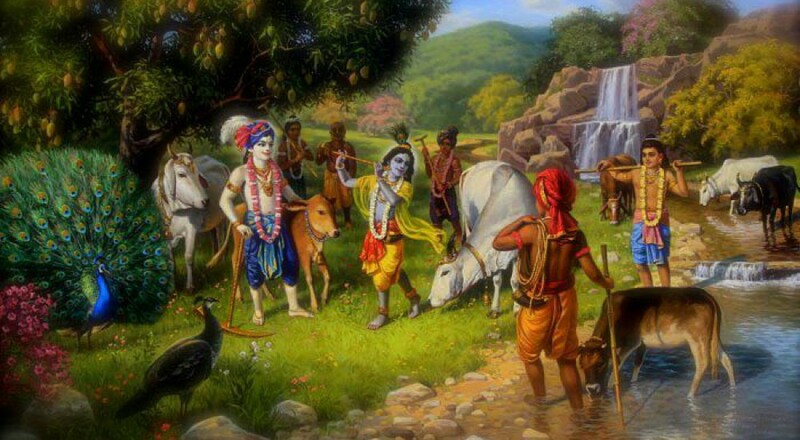 Pradyumna: The temple should always have some prasadam there? Please accept my humble obeisances and dandavats! and all pure devotees of the Supreme Personality of Godhead! At the present time I can understand this can be the program at the communal center for Krsna consciousness. At New Talavana guests and community members are at the door of the kitchen looking for prasadam every day. Since I am counted amongst the rocks and stones lower than scum I have trouble realizing this standard at my own home. I am uncertain about my future. Please keep me informed how I can do more to serve Krsna Katha, becoming conversant in science of Krsna consciousness, and becoming expert in science of Krsna consciousness argument.